Registrations for our Saturday, November 17 free webinar on how we released Ice Nine Kills’ The Silver Scream are way beyond our expectations. Thank you – and thank you for spreading the word to your peers. We can all succeed in music together! I’ve been out in LA for the past month, working for all my clients but definitely with my foot on the gas supporting Ice Nine Kills. This is a truly special time in their career and I’m glad I’m where I need to be. I have been having a ton of conversations with fellow industry while I’m out here – booking agents and promoters, media, streaming services, hell… even Hollywood-types. And it’s like the whole world TILTED after our Billboard success. Now, it’s true a lot of the people in the industry I work with are now long-time friends, but I remember the early days of my career well enough to know the conversations I have today are VERY different from the ones you have with industry, when you get them. But like I said, the world has TILTED. Doors are opening for Ice Nine Kills that didn’t open before. Negotiations are easier. Phone calls and emails are returned. Instead of working to FILL a calendar I’m having a hard time prioritizing one great opportunity over another. As Minor Threat used to sing, these are Salad Days. 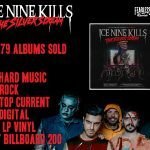 Do Ice Nine Kills have more fans than they did a month before Billboard reported The Silver Scream at #27? before over 18K sales? before 3.5 million streams? Maybe a few. 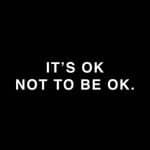 But not a lot. The industry should have been knocking my door down back then. But what all the Billboard numbers did was VALIDATE what I have been telling people. Hell, it validates what I’ve been telling YOU for a while now – industry responds to these numbers. 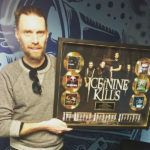 The point of having a successful album release is as much about gaining momentum so you can reach more potential fans as it is about gaining and recording and communicating a story of ever-growing success. That way industry will be attracted to working with you, gaining you more opportunities, and THEN gain you more fans. We talk about this a lot during Release It Right as well as Six Weeks to Signable and Coaching Intensive, because it’s incredibly true. And I’m LIVING that concept right now. Register today for the Free Webinar we’re doing on Saturday, November 17. We’ll be talking about how we released The Silver Scream so you can release your next album or EP the same way… and be spending time in LA fielding opportunities for YOUR career right alongside me. Let’s do this! ← [FREE WEBINAR] How we got Ice Nine Kills a #27 Debut on BILLBOARD!